Last night I had a great auction haul and ended up with a good collection of vintage art glass. 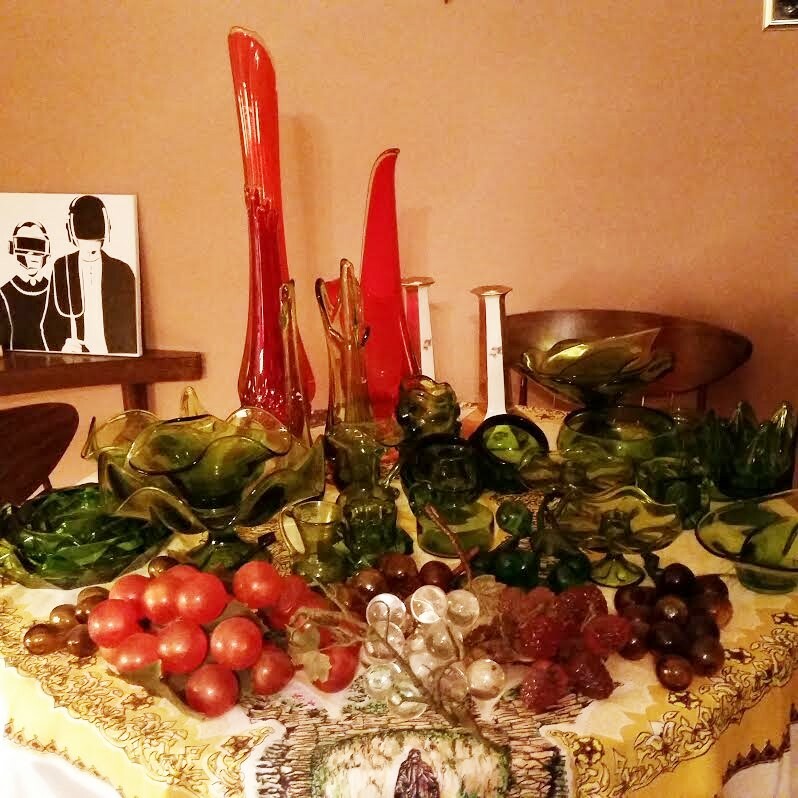 Most of it is green Viking glass, with a few taller amberina pieces and some super kitschy grapes. I’ve been selling mostly jewelry lately but have been wanting to get into selling vintage glassware. Before finding this auction I’d checked out a book about mid century glass from the library and had a great time thumbing through it last night to identify some of the pieces. I ended up with around 40 pieces that I can’t wait to sort, photograph and list.